Since I last wrote this column I have visited the Elderberries who are surely the borough’s friendliest gardening club. 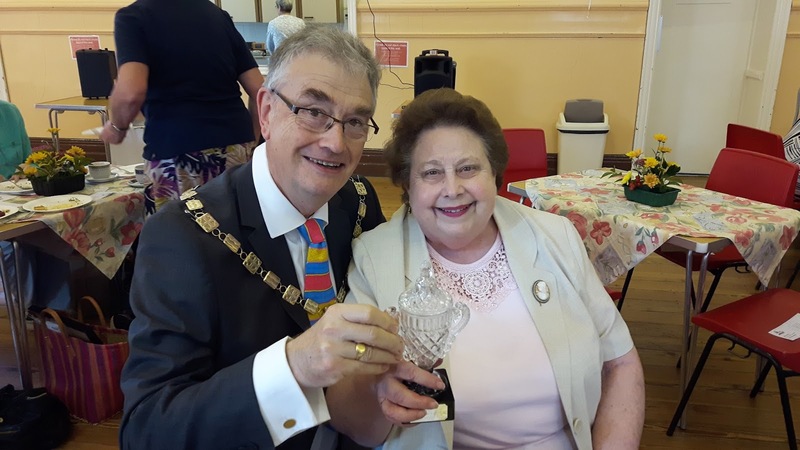 There was a great turnout for their Tomato and Chilli Festival at St John’s church hall where, under the watchful eye of their chair Derek Lewis Lavender, I was down to judge the produce. The Elderberries had their own categories for judging including 'ugliest tomato' and I added another one; cutest tomato. I was ably assisted by Mary seen in the picture who presented me with a bouquet. This is a thriving and happy club that meets one a month. So if you live in Southport and like more information please get in touch via the blog or write to me at the Town Hall, Lord St., Southport and I will pass on your details to Derek. In another church hall in Birkdale the Woodvale Badminton Club met to stage a 24 hour marathon game to raise funds for local charities. I was mightily impressed by the way the event had been organised. Local businesses had been generous in their sponsorship and there was all manner of fundraising initiatives. I stayed for a good while and what stood out was the high standard of the games. The Woodvale Club is very successful and attracts a wide range of members including a thriving youth section. On Friday night I presented certificates to people who volunteer with the 800 group of charities at an event hosted by Bradbury Fields the charity which works alongside people who are blind and partially sighted. I attended the first play in the new season at the Little Theatre. The Game is by one of the Lancashire playwrights, Harold Brighouse, whose other works include Hobson’s Choice. 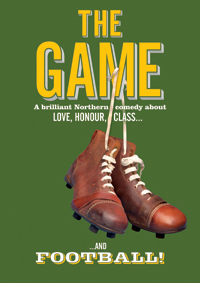 It was a great production set around a northern football club and is as fresh and relevant today as it was when it was written. Next week I will write about the ceremony at St George’s Hall where the families of the 96 football fans who were unlawfully killed at Hillsborough will receive the Freedom of the City.